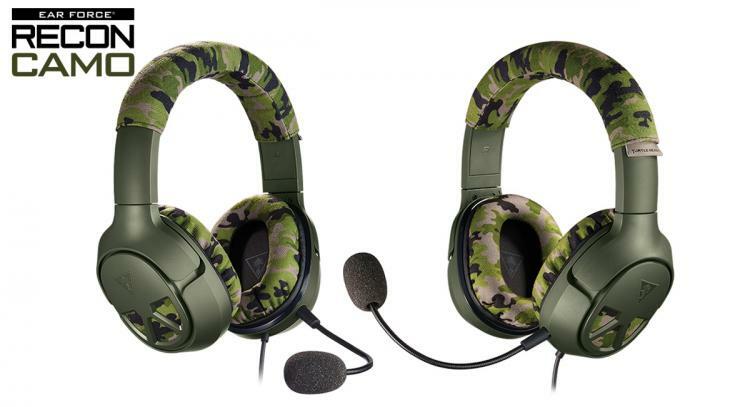 Turtle Beach introduces the Recon Camo military-inspired multi-platform gaming headset with standard 3.5mm connection for PC, Mac and consoles. 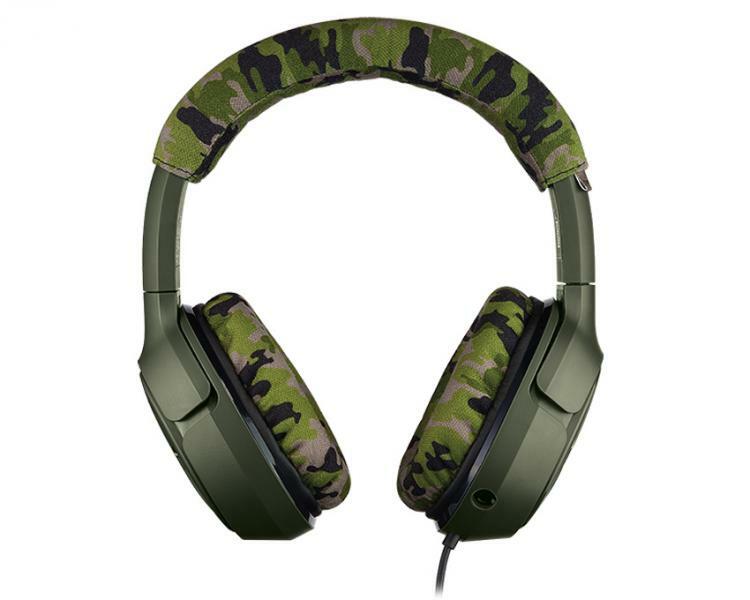 The Recon Camo’s military-inspired green camo design doesn’t only give you the best gaming headset for FPS war-themed game titles like the upcoming Call of Duty: World War II or Battlefield 1, the high quality 50mm drivers will blow you away with immersive sound experience that will make you feel like you’re in the battlefield! 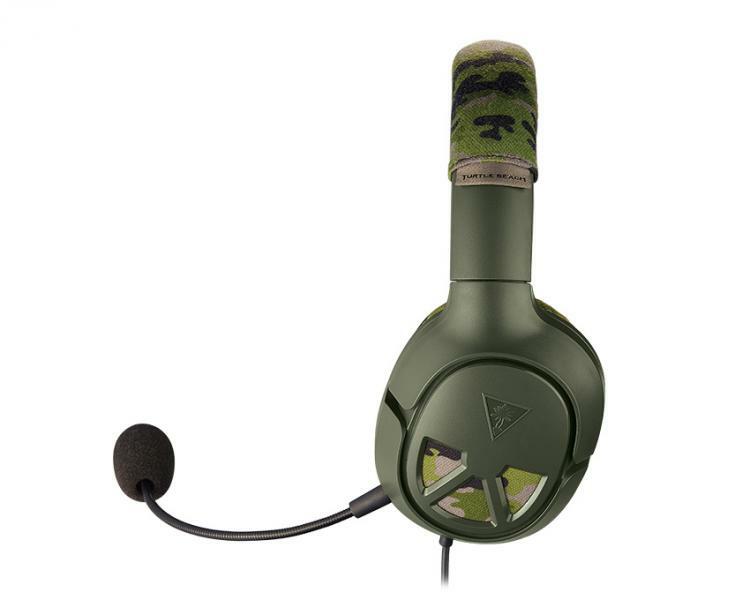 The Recon Camo is built on one of Turtle Beach’s fan-favourite designs with a comfortable yet durable frame, and features Turtle Beach’s renowned high-sensitivity mic to deliver the essential crystal clear chat needed to secure victory on the multiplayer battlefield. 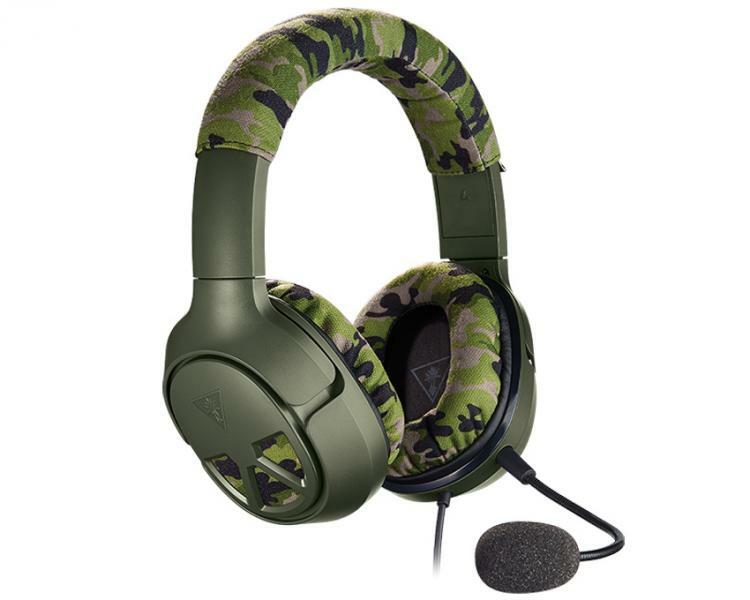 Rugged, Comfortable Design – The Recon Camo has a thick, rugged and robust frame with a breathable fabric-wrapped headband and matching ear cushions that allow you to play for hours in complete comfort. Surround Sound Ready for Xbox One – The Recon Camo is surround sound ready for Windows Sonic for Headphones on Xbox One so you can experience your games, movies and music with deeper immersion. Large 50mm Speakers – Hear every crisp high and thundering low with these large, high-quality 50mm over-ear speakers. With 56% more surface area than 40mm drivers, you get deeper, more immersive sound that is clearer and louder. Versatile Compatibility – Will work great with Xbox One and PS4 controllers with a 3.5mm jack, as well as with PC, Mac and mobile/tablet devices with a 3.5mm connection. Other Xbox One controllers require the Headset Audio Adaptor (sold separately). 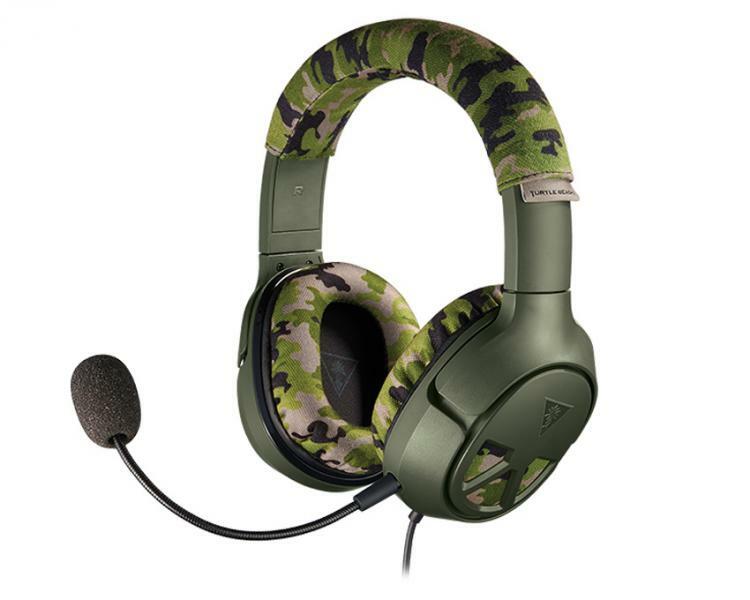 The Turtle Beach Recon Camo will be available this Fall 2017 at partner resellers with an MSRP of $69.95 USD.